Imported from all over the world. Over 70 colors to choose from. Each as unique as ever. From all over the world, we've imported the highest quality and most exclusive colors to make your project one of a kind. These are only some of the colors offered. Each piece is unique and may look different as pictured due to camera lighting. Come in to our showroom today to see more. Various edges available upon request. Squared edge shown above. Custom fit stove cut outs provide a finished look. Different types of finishes are available such as this leather finish. Solid Wood Cabinets. Designed your way. We use North American Maple Wood and German Beech wood, considered to be the two most durable and popular wood species for kitchen cabinets in the industry. Our cabinets are designed to last for long periods of time; therefore their structure is particularly strong. Craftsmanship has always played a big role when deciding on kitchen cabinets and that is why our cabinets have been precision cut with one of the latest technologies for the wooden industry, the CNC wood working machine. Granite & Cabinet Depot is always ensuring that our cabinets meet our customer’s expectations. Come in today to see all our unique and exclusive colors and styles. Our designers offer free designs and provide semi to full customization of cabinet sizes and features. 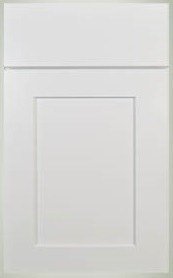 Solid wood doors including frames with full-depth wall and base shelves and dovetail drawer boxes. Under-mounted & side mount full extension drawers. Updated sliders with soft-closing hinges on both drawers and doors. Standard on all models. From glass doors to custom handles and extravagant molding options, your kitchen will be unique as ever. Your personal space designed to your taste. Vanities to fit your personal space. 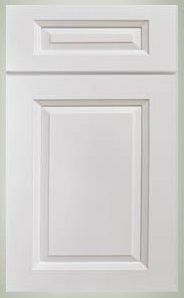 Our vanities are solid wood cabinets that include self closing hardware. They also come in various sizes. Here are some pictures to help spark new ideas for your bathroom remodel. Sinks for your kitchen and bathroom. From stainless steel and farmhouse sinks to onyx bowls. We have various sinks to match your taste for any project you're working on. Farmhouse sinks add a unique look to your kitchen area and available in stainless steel, white, and bronze. Custom stone sinks are also available. Natural petrified wood sinks are luxurious bathroom additions that will create a sense of beauty and elegance to your home. Bathroom over mounted vessel sinks. All natural stone with a honed finish and polished for a smooth texture. Natural petrified wood sinks are gorgeous and luxurious bathroom additions that will create a sense of beauty, elegance and peace to your home. This unique art sink has been hand-carved and polished from a single block of fossil wood (also known as petrified wood) with very fine workmanship. The fossil wood sinks have polished interior and polished or natural/rough exterior. Each of the fossil wood sinks has a unique shape and color. No two products are the same. A vessel sink hand-carved from petrified wood is truly stunning and beautiful. The petrified wood sink is not only functional but also decorative that adds a piece of the Earth’s history and beauty into your living space. Fossil wood was formed about 225 million years ago during the Triassic period and is said to be 4 times as hard as granite. Fossil wood is usually very colorful due to the effect of impurities such as iron, manganese, copper and lithium present in the wood during the fossilizing process. Please understand that the picture provided here shows you only a sample of what the product will look like and actual product may be different in color, tone, texture and/or size because of the uniqueness of natural stone and hand-carving process. All our granite pieces include a six inch backsplash. If you feel like creating a custom look to your kitchen backsplash, take a look at our mosaic backsplashes that come in various styles. Travertine tile backsplashes come in various sizes, from 4x4 to as large as 39x36. Mosaic backsplash add a unique look and can be mixed with glass or stainless steel patterns as well. Come in today and we can help create a special design. Quartz is an engineered surface that provides a simple and modern look. Square edging add clean lines to define the space. Many quartz colors are engineered with crushed glass to give a sparkle to the surface. Take a look at our gallery of quartz counters for some ideas on your next dream kitchen.